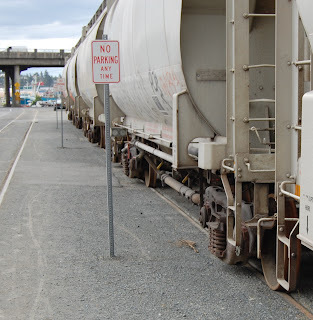 The Ballard Terminal Railroad is a short line railroad running for just 3 miles off the BNSF mainline. It serves a single customer, the Salmon Bay Sand & Gravel Company. The railroad operates a single locomotive (BDTL 98), an EMD SW1 that was originally owned by the Milwaukee Road.